Artina Studio: Kock Fighter Club - GET READY - FIGHT! 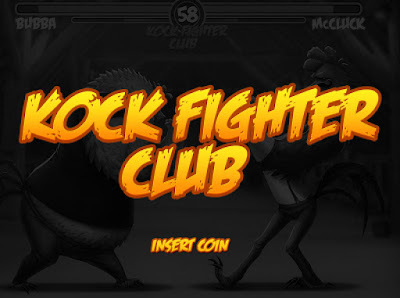 Kock Fighter Club - GET READY - FIGHT! This is an idea that spawned out of a sketch I did for our sketch group. 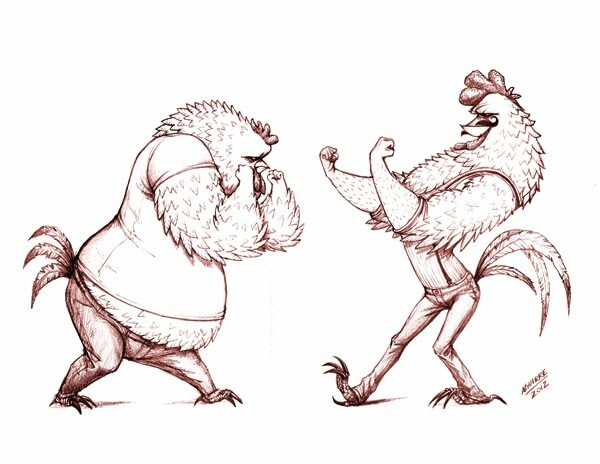 The theme was fighting rooster and we each had to design our fighter. 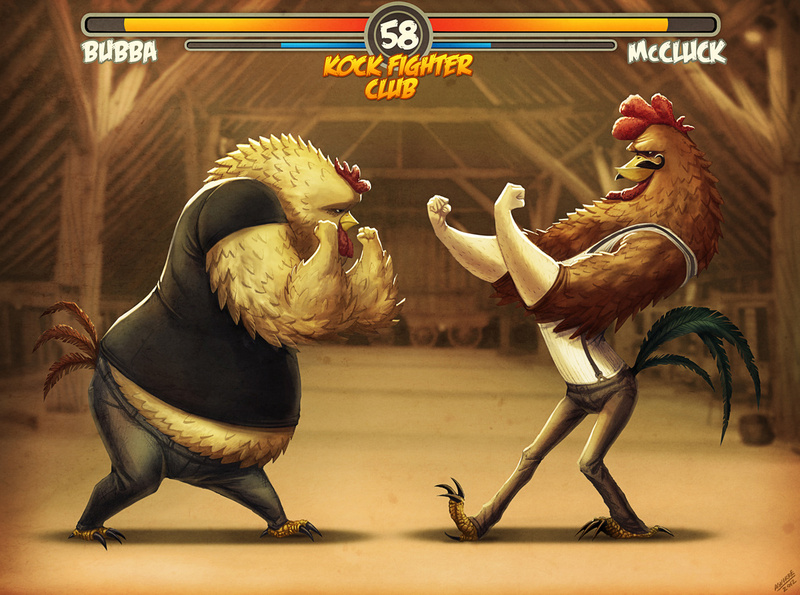 I liked how my first fighter came out (the one on the right) that I went ahead and designed his opponent. I loved how these turned out. I played around with complements. If one character is leaning back with his fists out front, the other would be leaning forward with his fists tucked in. One is skinny, one is fat - tall, short, etc. I will design more and more of these if I have free time. I am attaching the original sketch, the painted final and the title screen if it were a video game. That would be cool. I love fighting games.